Tim’s extensive watersports career began with competitive freestyle kayaking in which he competed for Great Britain. He is a British Canoeing 5* Leader and is Rescue 3 trained. He has paddled on four continents, taken part in numerous remote whitewater expeditions and worked for several years in marketing for leading paddling manufacturer Palm Equipment. 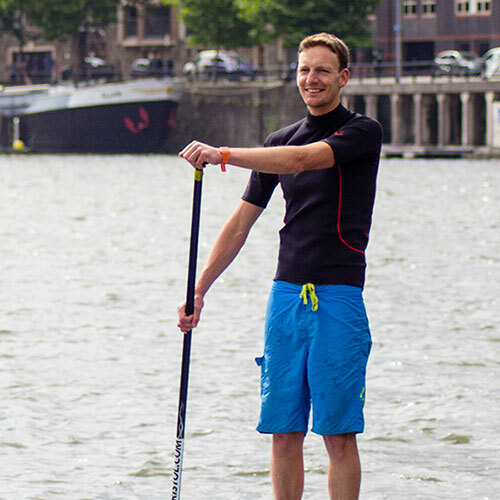 Tim discovered stand up paddleboarding in 2011 whist paddling in New Zealand, and in 2014 co-founded SUP Bristol, with partner Kate, to bring the outdoors to the city. 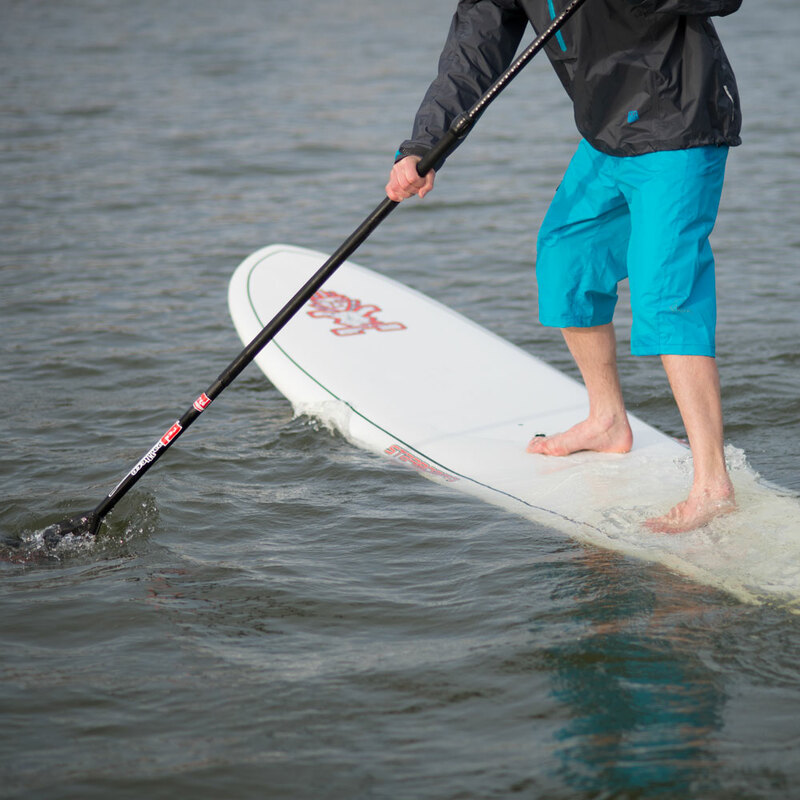 His enthusiasm for sharing his passion for the water has led him to become a leading provider of SUP coach education. Ask Tim about taking your paddling further. Kate first tried her hand at SUP in the serene landscape of Nelson lakes, New Zealand. 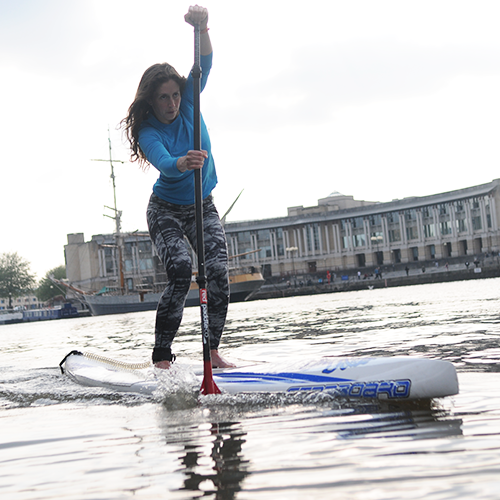 A few hikes and long distance bike rides later and she returned to the UK and co-founded SUP Bristol, convinced the sport was the perfect way to introduce more people to the water. When not on a board, Kate loves open water swimming, competing in distances up to 10km. Kate has trained with the British Whitewater rafting team and enjoys being in, on or around water in a variety of boats and boards. Kate was the first female captain of her university canoe club and is the WSA’s first female coach educator. Trained and experienced in youth work, adult education and volunteer management, Kate is passionate about creating and facilitating accessible and enjoyable adventures and opportunities for others to develop. Ask Kate about the GB racing scene and our work with youth and the community. Toby joined SUP Bristol whilst whilst studying for his degree in Outdoor Adventure Leadership and Management at the University of Worcester. He’s since taken part in an exchange programme to North America’s Great Lakes and returns to Minnesota after he graduates this summer, working as as an adventure guide. When not on the water he’s busy rock climbing, mountain biking and kayaking. Toby is working towards his British Caneoeing Coach Award. Ask Toby about careers in the outdoors and the latest in outdoor learning. Harry has been paddling and surfing from childhood and SUP is his go to when there is no swell and the rivers are empty. Harry is just about to finish his last year studying Outdoor Adventure Leadership and Management at the University of Worcester. He’s then off chasing whitewater first descents in Russia with the British Universities Kayak Expedition 2019. Harry holds his BCU Level 2 Coach and 4* Star leader. He’s a qualified mountain leader and is working towards higher qualifications – but at the moment the focus is trying to paddle the hardest rivers around! 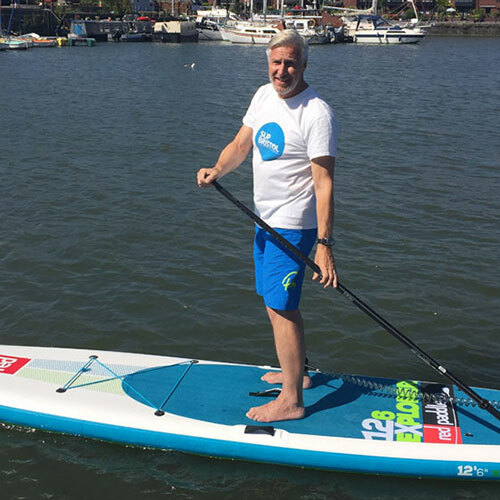 Nick took up paddleboarding 3 years ago at the tender age of 56 having seen Tim & Kate gliding along on the Floating Harbour shortly after SUP Bristol was born. 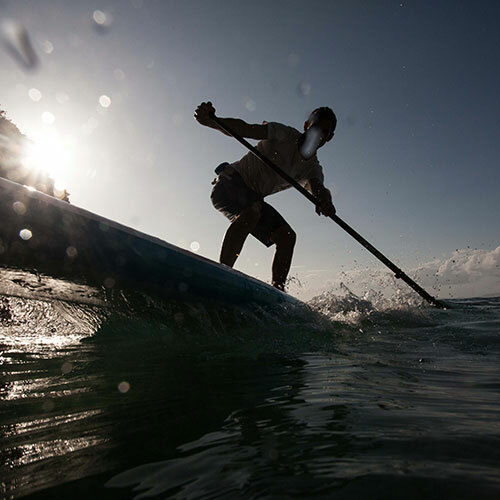 Nick’s since paddled off the Pembrokeshire coast, the Pacific Ocean in California and the Mediterranean Sea in Spain as well as becoming an accomplished WSA Foundation SUP instructor. 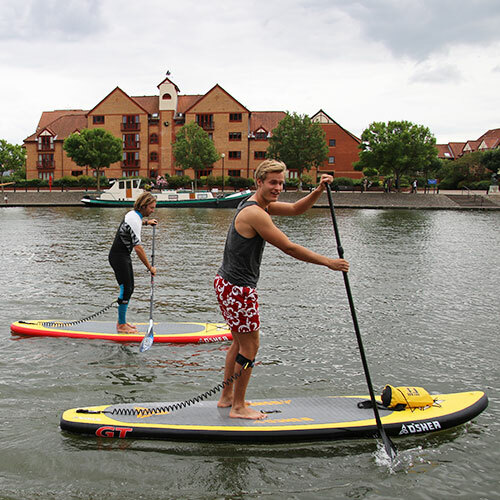 Nick sees the Floating Harbour in Bristol as the ideal environment to learn to SUP and also see the city from the water in a way very few people experience. Living in the city centre, Nick enjoys Bristol’s cultural activities and he’s always happy to recommend things to do or places to visit. Nick’s ambition is to still be able to touch his toes at the age of 75. Ask Nick about Bristol Harbour and its latest restaurants and bars. Smudge comes from the fast paced world of windsurfing and mountain biking and first cut his teeth as a windsurfing instructor back in 2007. Since then he has sailed and cycled all over Europe and in the United States. As a freelancer in the outdoor industry his work takes him all over the South West. When not passing on his paddle boarding skills to others he can be found on a mountain bike or windsurfing at some of the UK’s best beaches. Smudges other work see’s him guiding and coaching mountain bike skills as well as introducing clients to the exciting world of wave sailing. 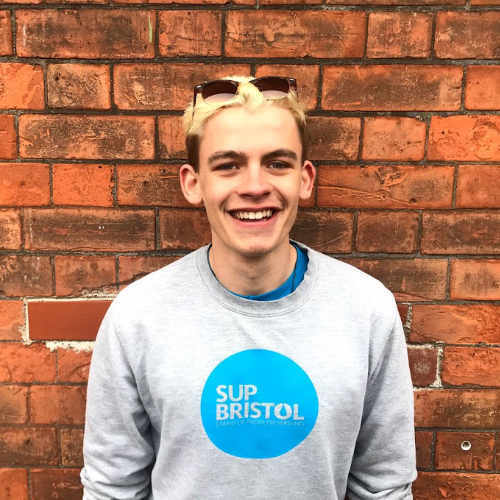 Smudge joined the SUP Bristol team in April 2018. Ask Smudge about working in the outdoors and (if you have time) his previous life in the RAF. Ben first started paddleboarding when there wasn’t enough wind to go kiteboarding. He went on to set up Bristol University stand up paddleboard club back in 2015 and then then worked with us as he completed his studies. He’s now full time at Rolls Royce but joins us in the evening over the summer and for paddling trips to his spiritual home in West Wales. Ben is a WSA Foundation SUP Instructor. Ask Ben about SUP race training.